The purpose of meetings is not to talk – the purpose is to arrive at ideas, solutions, plans, and decisions. Is this meeting absolutely needing? Is there another way to accomplish the meeting purpose? 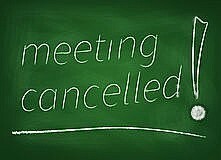 What will happen if the meeting doesn’t take place? If at all possible, cancel the meeting! We’ve all been in meetings where participants are unprepared, people veer off-track, and the topics discussed are a waste of the team’s time. These problems, and others like it, stem from poor agenda design. An effective agenda helps set you up to run a successful meeting for all participants. Last week, I had the privilege of delivering a webinar to 1000 project managers from around the world. When I asked in a poll “what is your greatest pain point in meetings”, the number one answer by far was “lack of quality agenda and direction”. 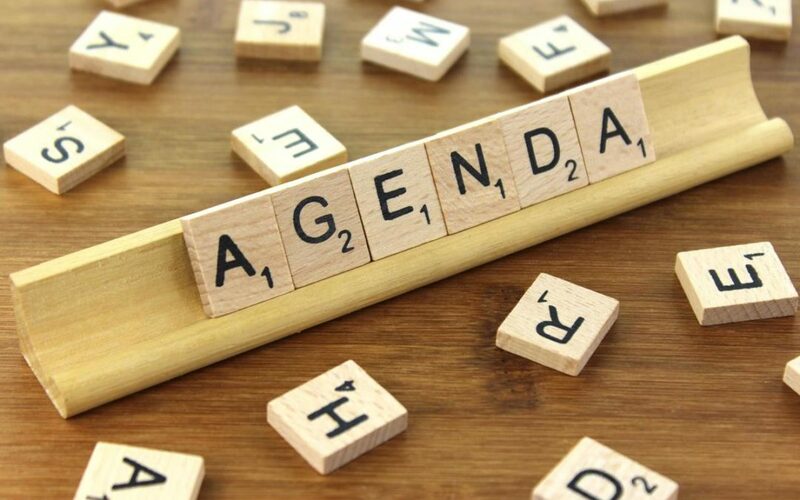 At the end of the session, several of the audience questions were about creating effective agendas so I have decided to write this post to help you develop and execute an effective agenda for your next meeting. According to a study conducted by Verizon Business, meetings are the #1 time waster in the workplace. They are often unorganized, have no purpose and go off-topic and end with decisions or action items. It’s no mistake that most of these meetings are missing a clear meeting agenda. Creating a concise agenda is the first step toward having a productive business meeting. Create Your Agenda Early: Clearly, define your meeting objective. Seek input from team members who have a stake in the meeting outcome. Inform members on how to prepare for the meeting. Don’t Inform Too Far In Advance: 2 to 3 days is just right. Sending a memo in advance ensures that attendees have ample time to prepare or read through any notes they will need before the meeting and raises flags if the objective doesn’t match their expectations. Have A Decision-Making Method: State the process for addressing an item. 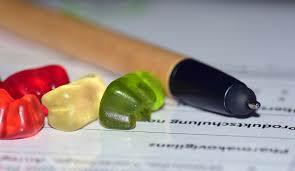 When you reach that item during the meeting, explain the process and seek agreement. Be Specific: Include everything you plan to cover in the meeting. This helps attendees form some views and look up facts and figures in advance. Create a Detailed Timeline: Allow adequate time for each agenda item. Leaders typically underestimate the amount of time needed. The purpose of listing the time is not to stop discussion when the time has elapsed. The purpose is to get better at allocating enough time for the team to effectively and efficiently answer the questions before it. If you are concerned about having time to address every item, eliminate some agenda items and narrow the scope of the meeting. List Key Points: Break down agenda topics into key points. List agenda topics as questions the team needs to answer. State Action Items: Make time in the agenda at the end of the meeting to have participants share all the action items and who is accountable for each one. Well-run meetings can be valuable if run effectively and in turn, eliminate miscommunication and wasted time making group plans and decisions. Action: In the next 4 weeks, cancel a meeting that is not REALLY necessary. Note: You can download a sample agenda and view the full list of my ‘7-Steps for Meetings That Actually Add Value’ here.